Welcome to the new age of work. It's virtually a reality. The virtual reality boom is pushing the technology and its many unique applications further and further into the mainstream. In much the same way that mobile smartphones have become an omnipresent fixture in modern life—both at home and in the office—the potential for VR to follow suit in the years to come could have a tremendous impact on the way we work. 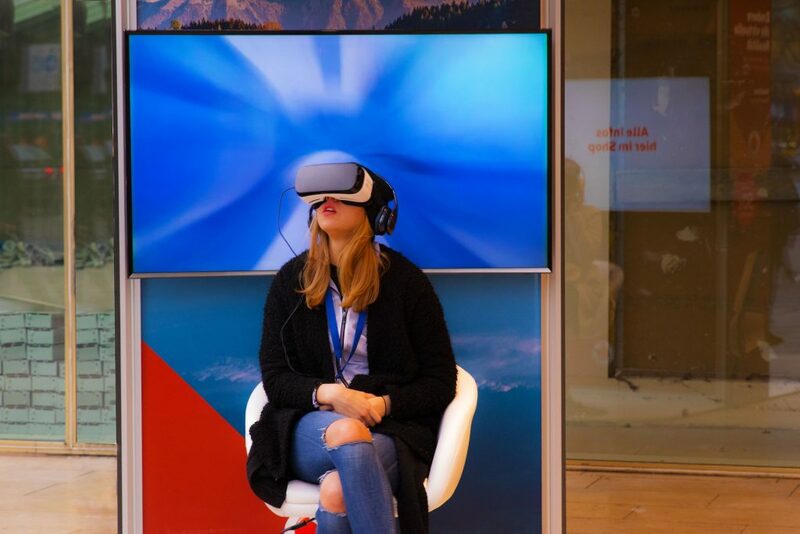 It’s already beginning to trickle into the working world, as tech-savvy businesses find new ways of incorporating VR into everyday use. Here’s a look at some of the key areas where virtual reality is disrupting the workplace, and the potential benefits it can have for our high-tech future. Given its deep roots in the gaming realm, it’s no surprise that training and simulation is a natural fit for VR. Major organizations, like NASA and the military, are already using VR for specialized training. It’s also being used across a wider range of industries, from product design to the medical field. In less intense workplace situations, VR also opens up a lot of possibilities, from training workers who run heavy or specialized equipment to tech troubleshooting exercises in a virtual 3D space. The evolution of high-speed Internet over recent decades has spurred a huge shift in the way many companies operate. From working on-the-go and telecommuting to online conferencing and instant messaging, our job experiences have been enhanced and changed dramatically through disruptive technologies. Virtual reality is poised to bring a whole new level of interactivity to the way we connect and communicate virtually, both in and outside of the workplace. Take video conferencing and remote meetings, for example. Rather than simple face-to-face video chats, VR lets participants interact in a 3D space that holds much more potential for customization and visual enhancement. Use of customizable personal avatars and visual settings let you create virtual communication experiences that range from the realistic to utterly strange and fantastic. On an individual level, VR also offers interesting potential in the form of virtual workspaces. Imagine typing up that earnings report or troubleshooting the latest tech snafu as you sit on a sunny beach listening to the waves crash in the distance—all while never leaving your desk. Some new VR workspace apps remove the need for a PC monitor altogether, giving you an infinite virtual workspace for opening work documents, web browser windows, and other important data all in one accessible place. VR’s potential reaches across a wide range of tech industries, though many design focused disciplines really stand to benefit from the dynamic 3D visualization and simulation enhancements these tools can deliver. Being able to prototype, test, and showcase products and design plans in such an immersive virtual space could change the game for design across the board. Many other non-design jobs and fields could get a boost from virtual reality, too. Customer service, for example, hinges on the ability to connect with customers and solve their problems. Imagine being able to interact with customers and clients in a virtual space that allows for more personal exchanges and memorable resolutions. It’s a future that’s not as far fetched as it might seem. As VR technology expands its reach, there will also be a growing need for programmers, designers, and other skilled professionals to help shape the next generation of virtual experiences—from integrating the tech into modern workplaces to designing apps and feature enhancements to improve work life.